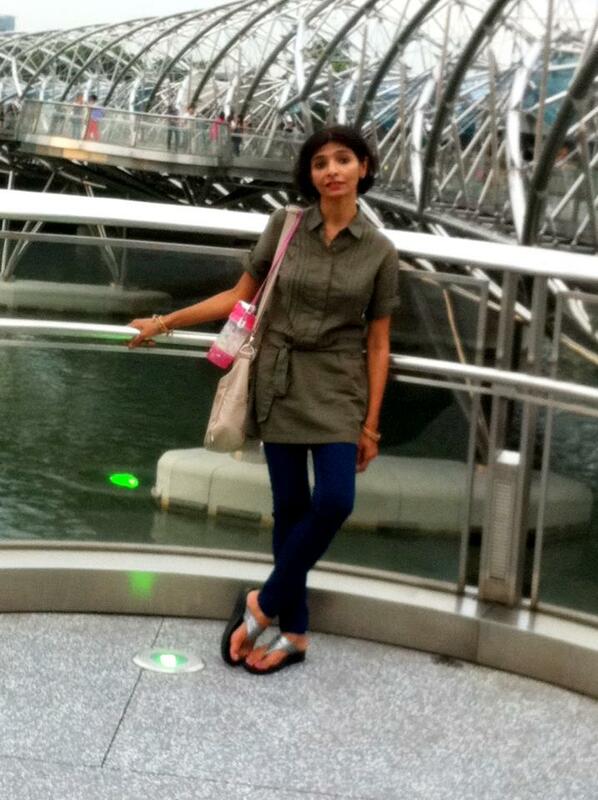 We are truly happy to welcome Anuradha Kumar in GatheringBooks today. A warm welcome to you, Anu. How long have you been writing books for children? Do share with us your journeys that led you to weaving stories for kids. When did you realize that this was what you were meant to do? I did start writing for children and younger readers even as I wrote for other readers and did serious writing for the magazine I worked for then (Economic and Political Weekly). Then around 12 years or so ago I also worked for a children’s syndication, and what I wrote like comic short stories began appearing in kids’ supplements in newspapers/magazines. 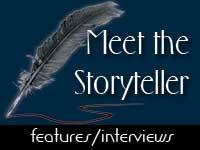 A few years later, around 2006, my first novel, and the first book I wrote for older readers – (yes I always have to make this distinction somehow) drew some attention and I happened to meet the editor of a publishing house and she put me in touch with the editors who did children’s books and its gone on since then. So it began with Puffin, Penguin’s children’s division, and am still in many ways with my first editors there. Tell us about your very first book (Atisa and the Seven Wonders) and its journeys to publication. What was it like for you? I sent a story I had written to Vatsala Kaul Banerjee (with Puffin then), and then developed it into this novel where a boy in a flying machine sets off on adventures in the past. It was Vatsala’s idea to combine facts with fiction, so it would be a novel way to make history very interesting for children, by making the character arrive in real historical places at a particularly critical time, such as Atisa landing up at the Pyramids around the time some were being built, or when the immense statue of Zeus at Olympia, also an ancient wonder, was being threatened by the Persians. and so it went on. Anyway, the history taught in schools is by and large strait-jacketed, and so I hoped Atisa would help children discover the marginalized, the invisible, the little known aspects of history. 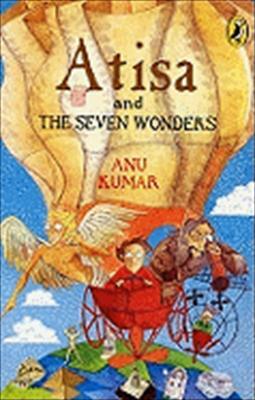 Atisa and the Seven Wonders when Atisa journeys to all the seven wonders of the ancient world hoping to find Icarus (the lost son of the mythical Greek inventor Daedelus) appeared in 2008. And I realised there was so much more that could be done with Atisa, and the adventures he could have. And so the second Atisa happened, (with Sudeshna Shome Ghosh and Jaya Bhattacharji Rose, my editors then at Puffin), when he comes to the rescue of a Chinese monk, Xuanzang (Hiuen Tsang) who visited India in the 7th century (around 1400 years ago). I always hoped to do more. There was another personal angle to it and though I’ve been advised wisely not to feel too strongly about this, for once a book especially is out there, an author really can’t do much. But the first Atisa appeared almost simultaneously to my daughter being born, and I did want to keep him going, not only because there was scope in exploring history this way but this other reason too. I felt he had the potential to grow – and thrive. Is there any particular reason why you chose the genre of historical fiction for kids? I read history till university level and quite enjoyed it. I also had wonderful teachers who never forced history down my throat, so it was a fun subject for me, it still is. The editors I’ve worked with like history too, so there it all is. 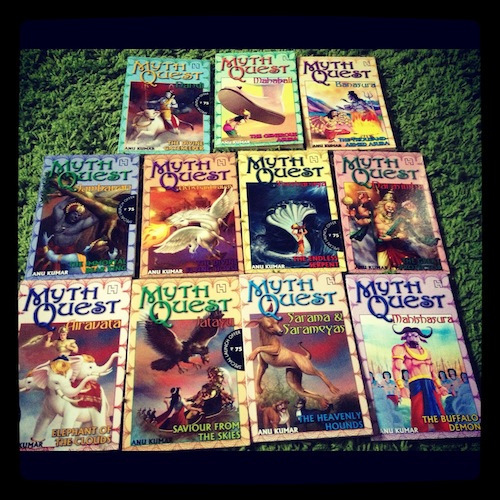 Do share with us what the MythQuest series is all about? How was the idea conceived? What was the intention behind the series? My editor at Hachette, Vatsala Kaul Banerjee, had the idea. There are big multi-character books on mythology and single-character comics. But MythQuest boks were to be short single-character book, which hadn’t really been done. They were themed in a certain way, so the first set was Beasts and Birds, in which popular creature characters were to be featured along with less known but wonderful characters. Now in epics, each character often appears at intervals or even after long gaps, so a narrative had to be knitted for that character after extensive and intensive research in several ancient texts. Then the next theme was demons. It was really fascinating doing up all this research and challenging to form a thread that connected different episodes featuring that character. Among all the books that you have written (and there are so many of them), what would you say is your favorite? Atisa, both of them and there will be more of him. Also, a non-fiction book I did titled ‘In the Country of Gold-Digging Ants’ which traced chronologically the journeys travellers in the past had taken to India and had kept a record of. So there was Megasthenes, a Greek who came to India more than 2000 years ago, and also the Chinese monks of the 5-7th centuries, Ibn Batuta, the man from Tangiers in Morocco who had these adventures wherever he went and down to Alexandra David Neel, a French woman who visited Tibet twice, isolated as it was a hundred years ago. Our current bimonthly theme in GatheringBooks is called “Stream of Stories and Whispering Water Tales” – do you have any favorite water-themed books that you would also like to recommend to our readers? I can instantly think of two books and both have history in them. In fact I did mention these two at the Asian Festival of Children’s Content this year. 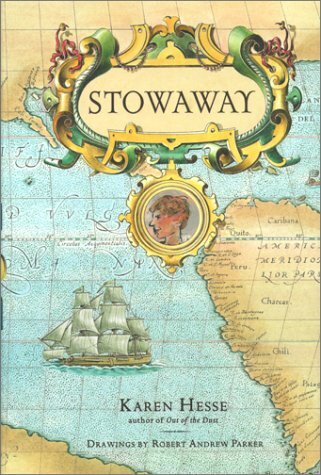 There’s Katherine Hesse’s Stowaway when a boy hides himself away in Captain Cook’s ship that is shortly to set off for Australia, and the adventures he has at sea and on stepping on a new continent (which Australia was then). 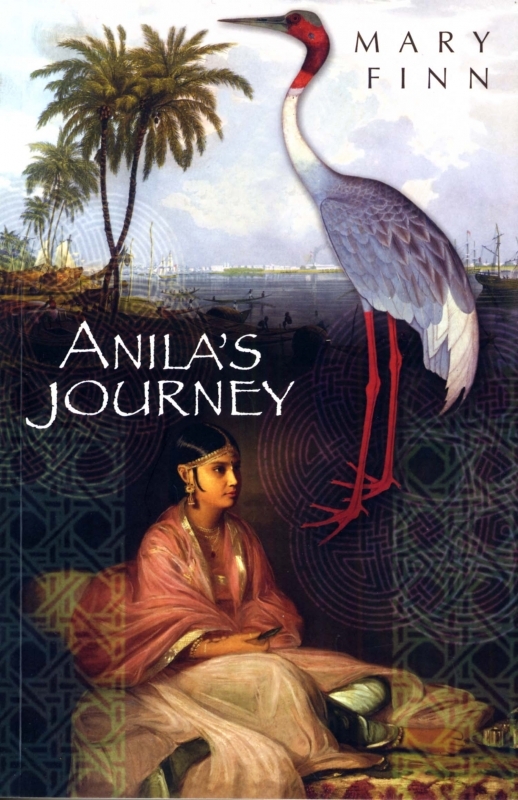 There’s Mary Finn’s Anila’s Journey where Anila journeys up river from Calcutta to make a new life for herself. Its set in the 18th century and has a lot of wonderful period elements in it. Many thanks again, Anu, and best of luck in your future writing projects! We look forward to reading more of your works. If you wish to know more about Anu, click on this link to be taken to her official website.